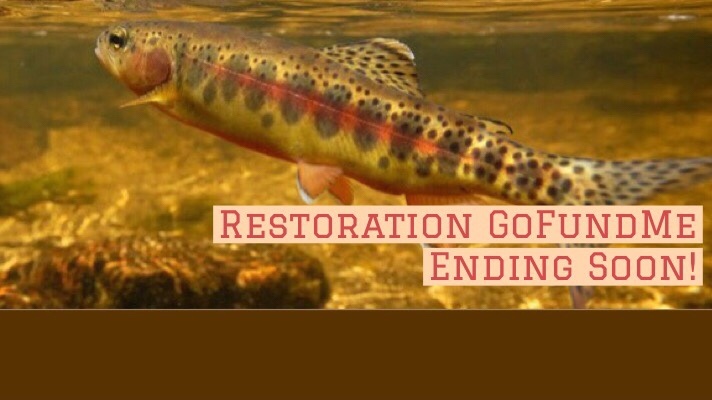 Plumas Corporation , in partnership with Trout Unlimited and the Kern Community Foundation, is raising funds to benefit California golden trout habitat on Sequoia National Forest lands along Fish Creek, a perennial tributary to the South Fork Kern River. The Sherman Pass Road (Forest Rd 22S05) was originally built over the confluence of Fish Creek and Jackass Creek. The road crossing has severely destabilized the stream channels, causing them to erode and abandon their floodplains. This in turn has resulted in fish passage through the road crossing to be significantly impeded or non-existent because of the failed culvert. The good news is Sequoia National Forest will be replacing the 72-inch arch culvert on Fish Creek with a 50-foot full span bridge beginning in mid-September (that means RIGHT NOW)! The bad news is without restoring the stream channel under the new bridge the improvements to aquatic passage and habitat for CGT will not happen. The channel implementation must be integrated into the bridge construction schedule to ensure effective construction of the channel(s). Your contribution to this GoFundMe campaign will help to ensure that these amazingly beautiful fish continue to survive.